Those of you who must use a computer every day are surely aware of how time-consuming many computer operations can be. Clicking through various application windows and program menus can easily become as confusing as the task you are trying to accomplish. 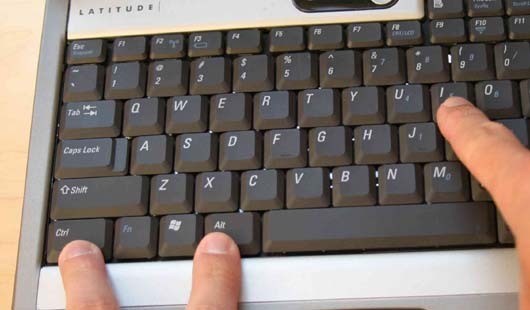 To make the use of your computer much easier, Microsoft provides many keyboard shortcuts, universally shared within all editions of Windows 7, which can make your life much simpler and make common tasks a breeze to perform. The following keyboard shortcuts make use of the Windows logo key ( ). The following keyboard shortcuts work with items on the taskbar. Ctrl+Shift+Click on taskbar button – Open a program as administrator (may require password). This is only a sampling of all of the keyboard shortcuts available in Windows 7. The more you use these shortcuts for commonly performed tasks, the better you will remember them, and the more productive you will become when using your Windows PC. For a more detailed list of all available keyboard shortcuts in Windows 7, visit Microsoft’s Windows 7 Keyboard Shortcuts page.